Enter to Win the Giveaway Extravaganza! 2 Grand Prize Winners + 2 Runner Ups! My teeth are very sensitive. I love this giveaway, however, because so are my son’s teeth. He had to get something from me, right? These products are wonderful. TWO GRAND PRIZE WINNERS will receive 3-Pack Shark Tooth Silicone Chews! These adorable teethers are made with 100% food grade silicone and pass FDA testing requirements. Chew toys for aggressive chewers usually look silly and attract unwanted attention, but your child will receive nothing but compliments while wearing this chewerly. 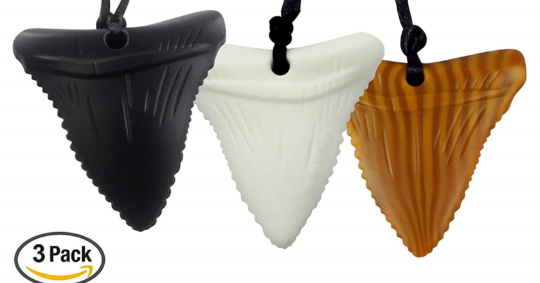 Who doesn’t like a shark tooth necklace silicone teether? Mommy’s Touch chewlery is created with cool designs that can be used for kids with sensory seeking needs such as autism, oral fixations, thumb sucking, ADHD, a desire to fidget or trouble focusing, although not meant for aggressive chewing. These pendant chewies are great oral motor therapy tools making them a fashionable piece of chewable jewelry and work great as an autism chew necklace. Finally, our SECOND RUNNER UP will receive one Fish Hook Chew Necklace! Known in Hawaiian as the makau, the fish hook pendant stands for everything that is good and promises its wearer prosperity, strength and good luck. This teether is bpa free, but way cooler than chewy tubes and other motor sensory toys out there! The fish hook teething necklace for boys and girls is made with cute and trendy designs that can be worn by both boys and girls and with multiple outfits. Multifunctional chewing necklace and teething toy to keep your baby occupied and comfortable while in the house or out. Mommy’s Touch is a brand that makes functional, fun, and stylish teething and sensory jewelry available for kids. We advocate for helping children in addressing both their teething and sensory needs. We want to provide comfort in many forms to those with anxiety, Autism, ADHD, and other forms of behavioral differences. We guarantee that our well-designed chewelry products are cool and helpful. All Mommy’s Touch shark tooth, silicone, and amber teething jewelry are compliant with the necessary safety features. They are independently tested with proper certifications to meet the international toy safety standards. They also pass the FDA regulatory testing. Buy our products today and let your children pursue the needed comfort in style. 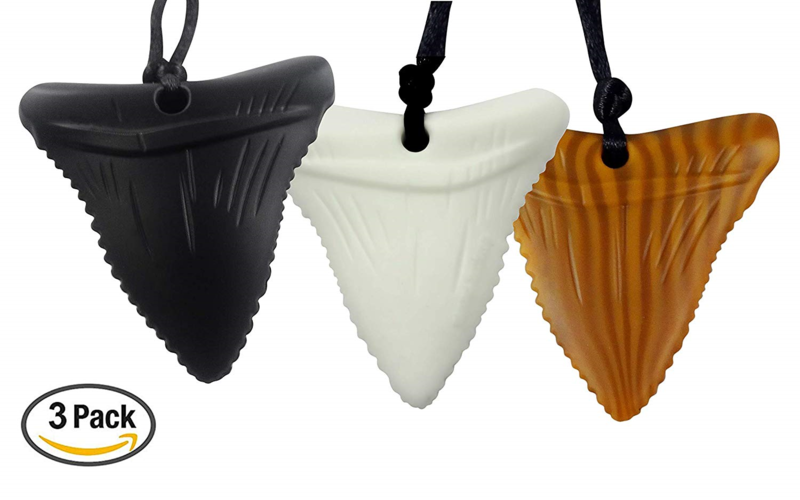 will receive 3-Pack Shark Tooth Silicone Chews! FIRST RUNNER UP will choose (2) Phoenix-designed Necklaces! SECOND RUNNER UP will receive (1) Fish Hook Chew Necklace! Mommy’s Playbook Giveaway Rules: This giveaway is Sponsored by Mommy’s Touch and hosted by Mommy’s Playbook. Victoria and/or Mommy’s Playbook, Participating bloggers, are not responsible for prize fulfillment. By entering this giveaway you are giving the giveaway host and/or event sponsor permission to retain your email address for future communication, you may choose to opt-out of such communications at any time. 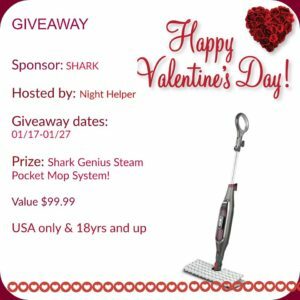 This giveaway is not sponsored or endorsed by any social media outlet including, but not limited to, Facebook, Instagram, Twitter, and Pinterest. 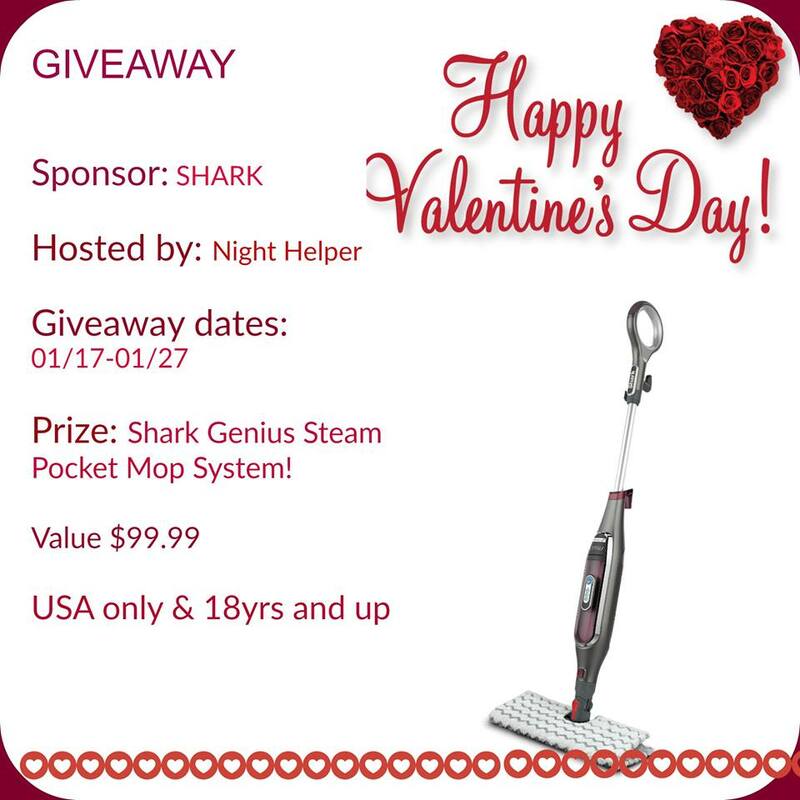 Please contact Victoria (at) MommysPlaybook.com regarding any questions you have pertaining to this giveaway. Win big during our $250 Shark Week Cash giveaway event! You have the option of choosing between $250 PayPal Cash OR a Gift Card of choice! This event was organized by The Kids Did It & The Mommy Island and sponsored by JAWSOME bloggers, authors, and Etsy shop owners! 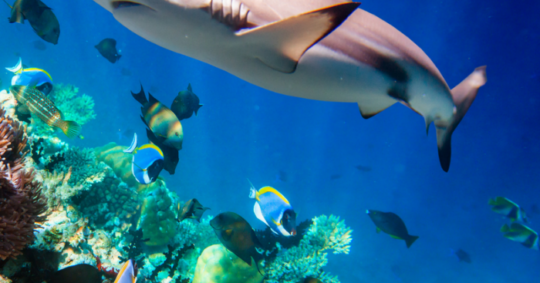 Dive right in and swim with the sharks during our July Cash Giveaway Event!